People think of baby adoption like a Hollywood romance, with a newborn at the story’s center. All babies are precious, after all. What could be more romantic than a baby adoption in which people come together to “save” a child? There is plenty of love in any good adoption story. Parents who place a baby for adoption surely love their child. And couples who adopt a baby have plenty of love to share, too. The process of finding each other can feel like a blind date. Like any relationship, as people get to know each other, feelings may become more intense– and sometimes, things fall apart. Plans for baby adoptions can begin at any point during or after pregnancy. Ethical adoption agencies like Abrazo urge expectant parents to take the entire first trimester (or longer) to consider all alternatives. Prospective adoptive parents are smart to get counseling, as well, to fully prepare the emotional rollercoaster of adopting a baby. Prenatal care is an essential step for any expectant mother, whatever she decides for her child’s future. There is no way to know, though, whether complications may arise at or after birth. Prospective adoptive parents must undergo a thorough homestudy, whether they are pursuing a baby adoption or any other type of placement. Even the best homestudy, though, cannot ensure that every adopting couple is being truthful, or is ready for parenting or that the marriage will last. There are no guarantees in any baby adoption. Most states prohibit any pre-birth contracts governing post-birth outcomes. This adds yet another element of suspense. Sometimes, baby adoption plans do change, yes. Yet the majority of baby adoptions done right are successful, provided the parties are honest and mean well. This is how thousands of baby adoptions happen in America every year. Even if you’re only interested in baby adoption, making it child-centered is essential. Why? Because the best baby adoption is not just about giving up a baby or getting an infant. It’s about meeting the child’s needs, not the adults’ desires. What will this child, once grown, need to know/have/feel from the start? Babies being adopted need plenty of time in the arms of their original parents, before and after placement, to feel safe. They need to know their birthparents made a fully-informed decision. They need to grow up knowing their adoption story and their birthfamily from the start. And they have to know their adoptive parents are always okay with them talking about adoption and asking questions as needed. This is what a child-centered adoption is all about. Learning about (and from) adoptees is another important step in making wise adoption choices. Why? Because every baby being adopted is only little for a short while. Adopting a baby doesn’t mean that the adoptee will fit into the adoptive family, nor that he or she will never need their birthfamily. Babies are not blank slates, after all. They come imprinted with genetic traits and features that predestine them to be like and look like their birthrelatives. This is why open adoption is so important; if you are not compatible with your child’s other parents, how do you know your child will grow up feeling a connection? Abrazo has been doing baby adoption for more than 25 years. That’s what makes us so good at it. 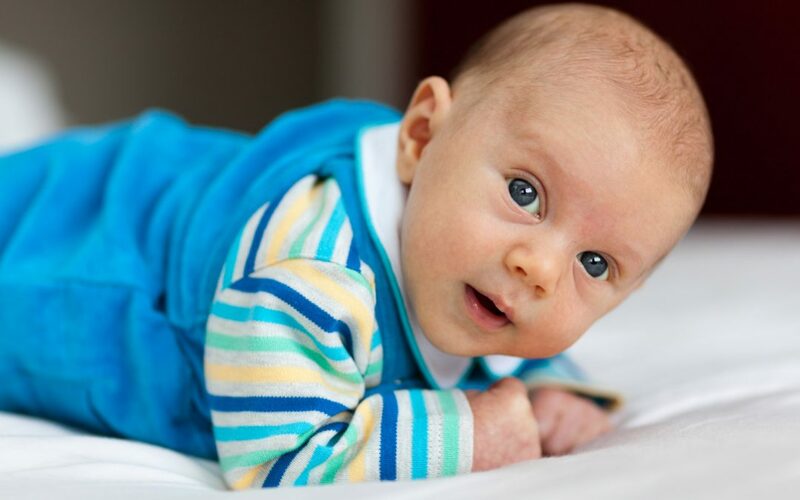 If you need expert help with a baby adoption, start right here.